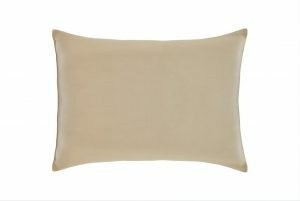 We absolutely adore this new pillow concept! 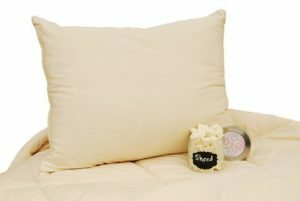 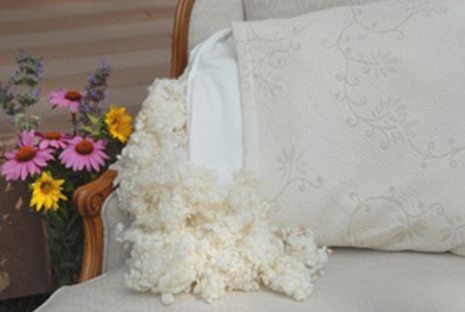 The fill of this pillow is Eco Wool “Bolas” or little round bits of wool. 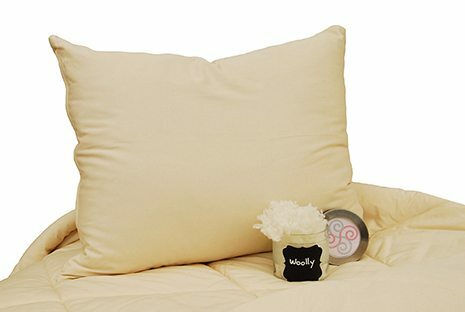 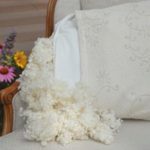 The zippered encasement on the wooly bolas pillow allows for the ability to add and remove bits of wool as you please to create the perfect pillow for you! 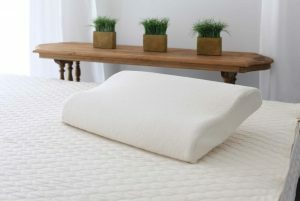 You can even mold the wooly bolas inside the pillow how you like, for example, if you prefer a thicker roll for your neck and an indentation for your head or if you just prefer a level surface for your head and neck. 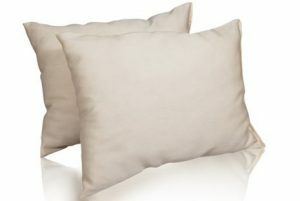 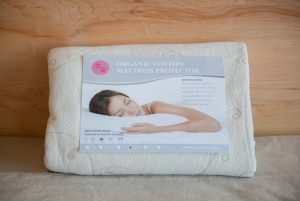 Pictures 2 and 3 show pillow with optional organic cotton knit cover. 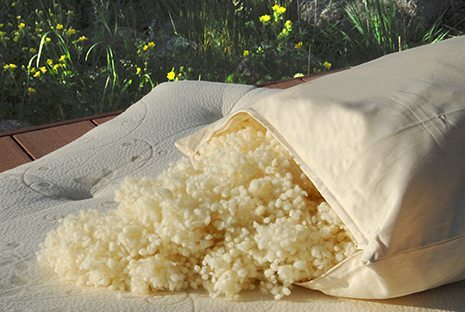 In addition to the organic sateen zippered encasement, the Suite Sleep Wooly Bolas pillow can be purchased with the addition of a removable case made from a gorgeous floral stretchy knit organic cotton. 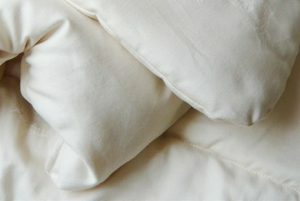 Our other pillows (cotton, wool, and kapok) all tend to compress somewhat over time. 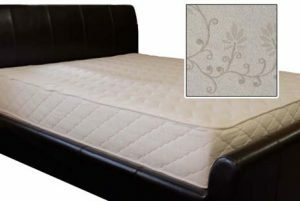 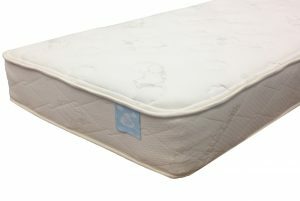 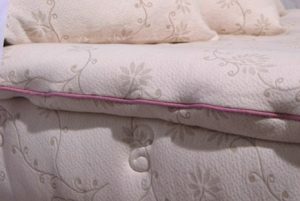 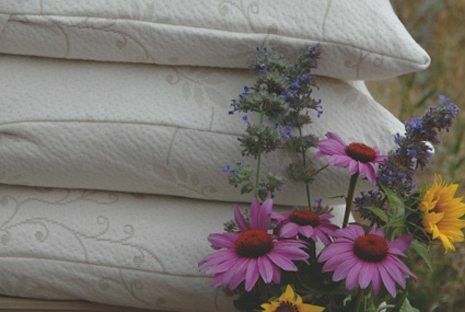 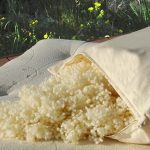 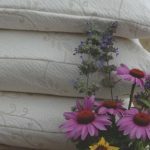 The advantage of the Wooly Bolas pillow is that, although it comes with a generous amount of fill, you can add more wool as it naturally compresses to keep the loft you prefer. 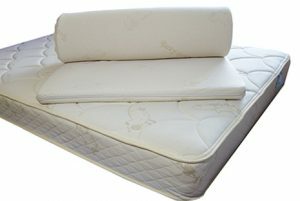 Machine wash!